The number above this creepy-crawly gets smaller with every Medal you use. Once it reaches 0, it'll dispel all of your status enhancements. 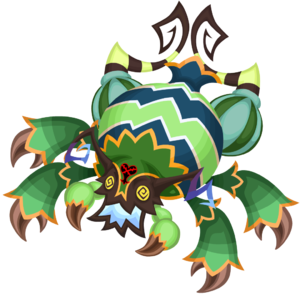 The Wicked Spider is an Emblem Heartless that serves as a Raid Boss in Kingdom Hearts Union χ. This page was last edited on 3 April 2019, at 19:16.